Simply a must-have for parents, campers, hikers, travelers and more! Weighs less than one pound and compact for portability. • Wound wipes (2 each). 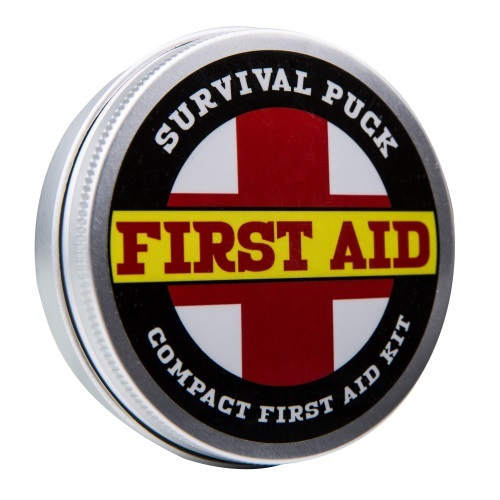 Be safe, be prepared with this small but mighty First Aid puck.